One more super adorable Summer idea! This is perfect for shark week, a beach party, or just because! 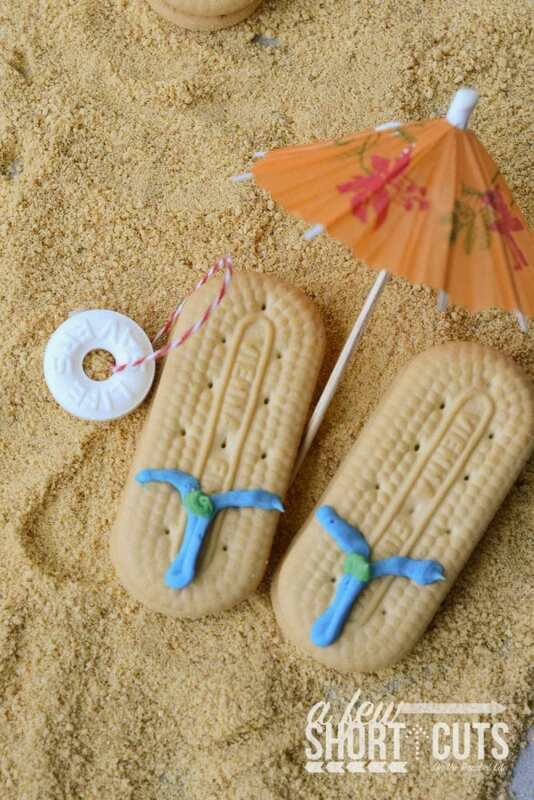 I love that Summer ushers in Flip Flop Season, so why not celebrate with these flip flop cookies?! 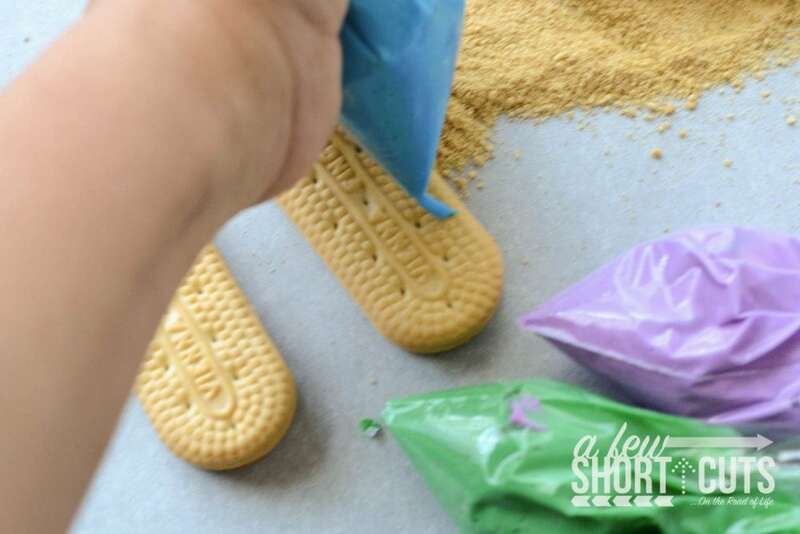 Then just squeeze the frosting onto the cookie to look like the straps on a flip flop. Crazy adorable aren’t they?! I just love them! 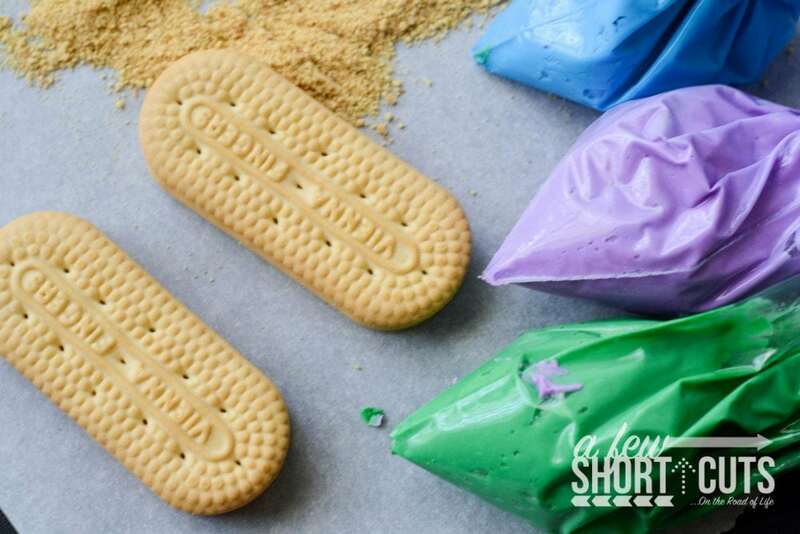 I actually made several sets and set them out on a bed of graham cracker crumbs to look like beach sand with some drink umbrellas. These are perfect to put out for a party! 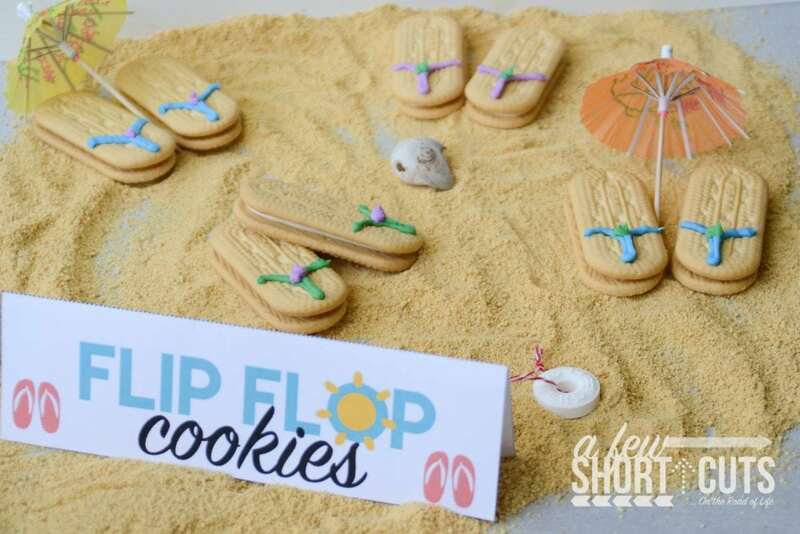 I even made this cute printable Flip Flop Cookies display sign for you to put out with your cookies. Download it and print it now. This would be perfect to serve with this Copycat Ocean Water!